Additional Package Info: Bonus during training. Pension scheme plus company benefit system with the option of healthcare, dental and additional holiday. Calibre Group is the appointed training provider working with BMW Group Financial Services to recruit for several, newly created MOTOR FINANCE SPECIALIST apprenticeship opportunities. BMW Group Financial Services believe and invest in their apprenticeships which span a wide range of business areas offering extremely high quality training leading to higher level qualifications. 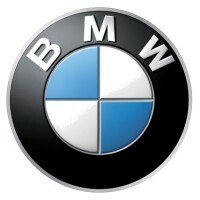 If you’re looking to make your first career step in financing, leasing, automobile insurance and fleet management, then join BMW as a Motor Finance Specialist apprentice. The teams at BMW Group Financial Services are key to providing finance solutions for customers to purchase their premium products. The continued growth and success of this award-winning business means that they’re now looking to invest in developing their next generation of apprentices with opportunities in Internal Sales, Sales Support, Credit Management, Recovery, Collections, Alphera and Commercial Finance Funding. As a Motor Finance Specialist, your apprenticeship will provide a platform to build an exciting, long term career within a global premium brand. We’re looking for motivated and conscientious individuals who are passionate about providing exceptional customer service with a desire to learn and progress. You’ll also demonstrate a keen interest in the automotive sector and the BMW, MINI and Alphera brands. Developed by motor retail and finance industry employers, the Motor Finance Specialist apprenticeship is an 18 month fixed term contract where you will receive on-the-job training and will work towards a Level-3 (A-level equivalent) qualification. Upon completion, you’ll be fully qualified to carry out the role of a regular employee, specialising in the provision of motor finance information and support to customers or intermediaries. So, are you looking for an exciting challenge? Closing date for applications is Sunday 1st July 2018. Assessments and interviews will be held on Friday 13th July and all applicants should ensure that they are able to attend on this date if selected. Employment will commence for successful candidates on: 28th August 2018. You must be eligible to work in the UK. To register your application please follow the link below. By clicking this link, you are agreeing to be contacted by representatives of Calibre Group in order to progress your application on behalf of BMW Group Financial Services. BMW Group Financial Services is an equal opportunities employer. Calibre Group is appointed as the official training provider for this apprenticeship campaign.